Every Android user is waiting for the Android Lollipop update and we have listed out the Devices which will be getting Android Lollipop update and from recent news and updates Moto X and Moto G are going to be one of the first devices to be receiving the update. There are rumours that some suers of Moto X Pure Edition have already received the Lollipop Update notification but there is no proof of it so we have to just consider it as a rumour. There was also news that the update about the Lollipop update to Moto X and Moto G was posted on their website but removed. According to ARS technica Moto X Pure Edition devices will be one of the first devices to get the update and “an unlocked version of the phone, and for right now it’s going out to people who signed up for the ‘soak test’ — a limited rollout in preparation of a wider release” is what was said in Ars Technica reports. And this will be a test to see if there are no major problems with the update which will be followed for two or three days. Motorola and many other companies has promised their users that their devices will be getting the Lollipop update soon after release of the Nexus 6 device which is set to happen today on November 12th. I guess that Nov 12th onwards after the release of the Nexus 6 which comes with Android Lollipop out of the box makes its mark in the market that the update will be rolled out to other devices. So keep an eye out on this space as we will be updating which devices have got the Lollipop 5.0 update. Or if you cannot wait book your Nexus 6 which will be launched later today by Google. 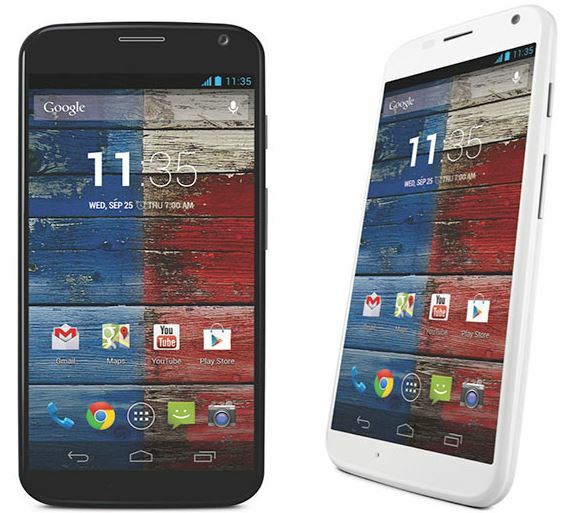 Both the First Generation and the Second Gen Moto G and Moto X phones will be receiving the update is what we hear.